Kempston Cleaning provides School Cleaning Services whereby we hygienically and methodically clean your school to be in pristine condition. It is very important to have a safe and clean environment for children play, learn and grow. Our services are fully customisable to your needs. 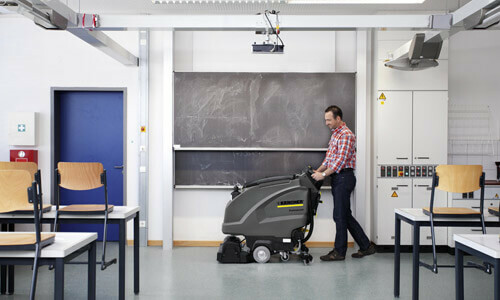 Our biggest effort goes into deciding which methods and products to use when professionally cleaning your school. Our team of skilled Cleaning Specialists are able to get to those hidden spots that most cleaning companies would miss. Kempston Cleaning Services are a celebrated hygiene industry leader, providing the best School Cleaning Services nationwide. When using our School Cleaning Services you can be assured that your school will be thoroughly cleaned and one that your students, parents and teachers will be proud of. Kempston School Cleaning serves Johannesburg, Cape Town, Durban, East London & Port Elizabeth. We take pride in our procedure and are determined to offer our consumers better quality and clear customer service. We specialise in School Cleaning at the most competitive prices, with the added bonus of guaranteed professional service. We’re passionate about the work we do and venture to achieve the unlikely. This is the motivation behind why we’ve earned such a significant name in the cleaning industry. As a client, you’ll be treated as our most important.